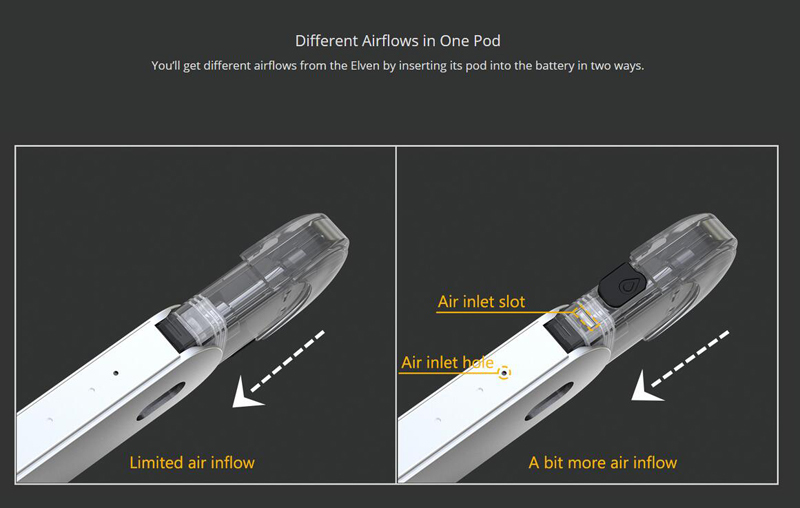 The Eleaf Elven Pod Kit is an easy-to-use kit, which is designed for great portability with small and lightweight size. 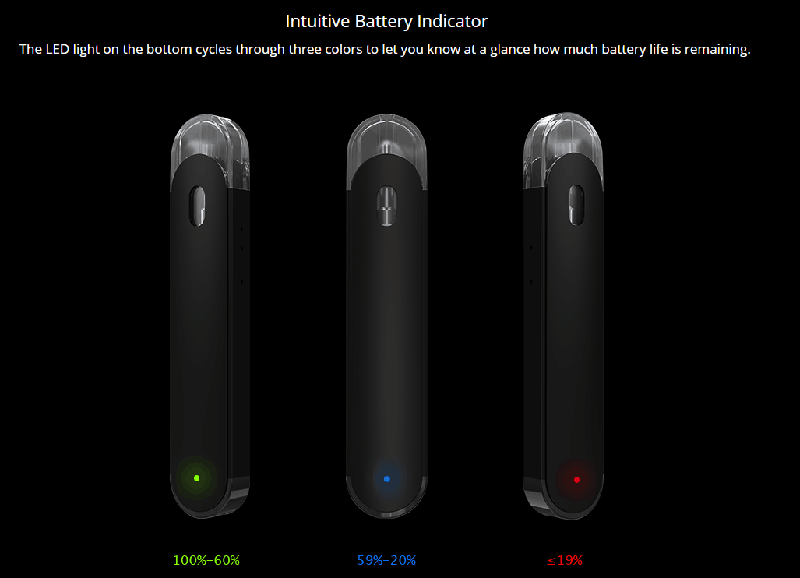 With no button design, you could just inhale to enjoy the vaping. 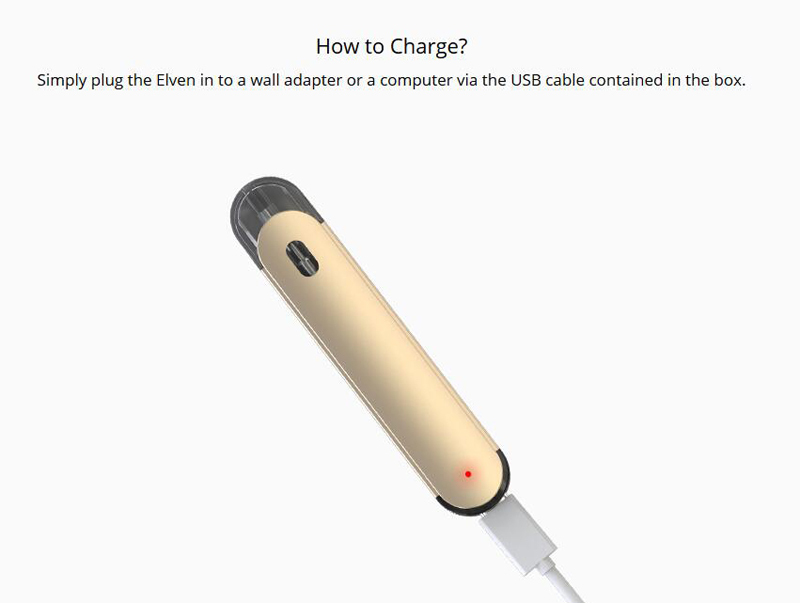 Powered by built-in 360mAh battery, the Eleaf Elven can fire up to the 15W max outpout. 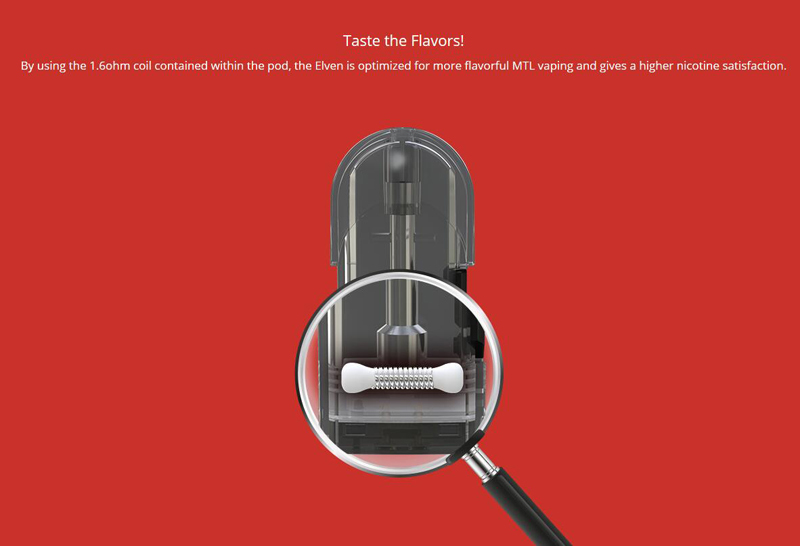 Besides, the elven cartridge comes with 1.6ml e-juice capacity and brand-new 1.6ohm coil. 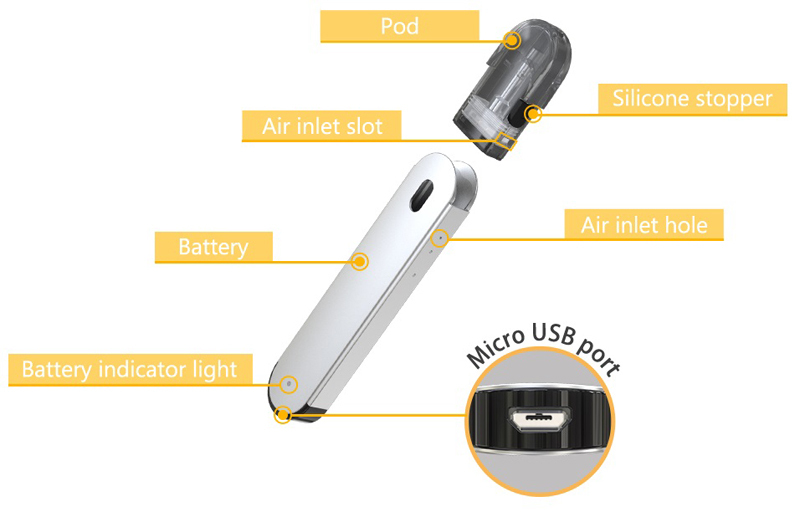 There are two ways to insert the cartridge, which brings you different vaping experience as you wish. 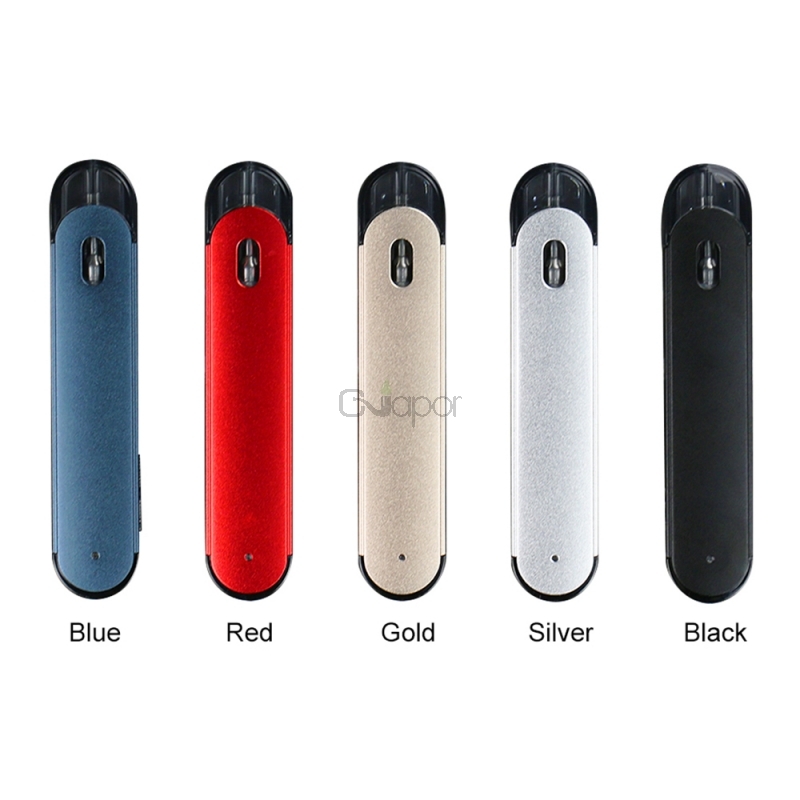 Black, gold, silver, red, blue are available. 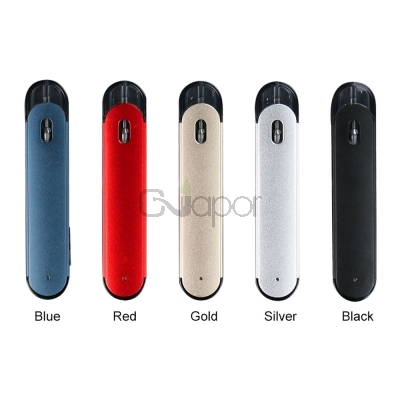 Three Months warranty period for Eleaf Elven Pod System Kit .